Downgrade - Intel. Cost: 0. After attached character is activated, reveal 3 random cards from its controller's hand. 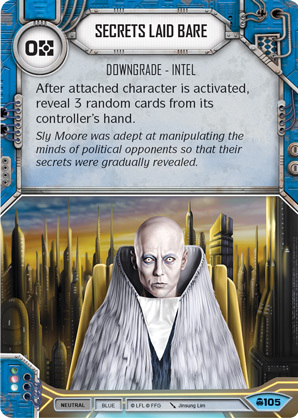 Sly Moore was adept of manipulating the minds of political opponents so that their secrets were gradually revealed.